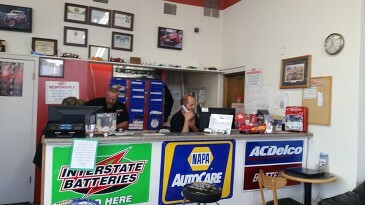 Our friendly, professional, and knowledgeable crew is waiting to work with your vehicle! 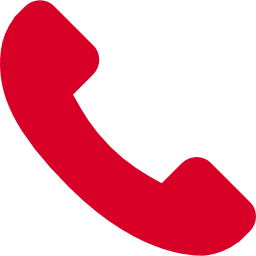 Call us to hear about our seasonal and monthly promotions! 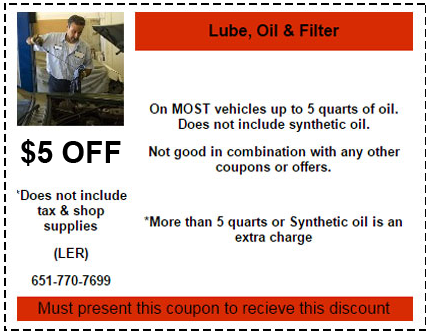 Here at Lake Elmo Repair of Lake Elmo, MN, we feel that saving you money is just as important as our services to you! 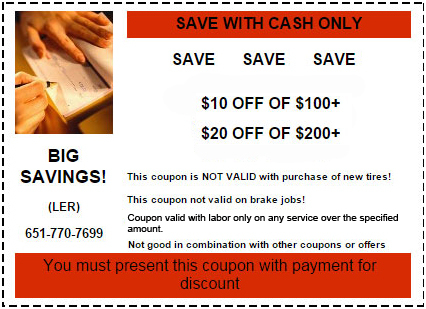 Besides our regular competitive and affordable pricing, we have included some money saving coupons below for you to use! 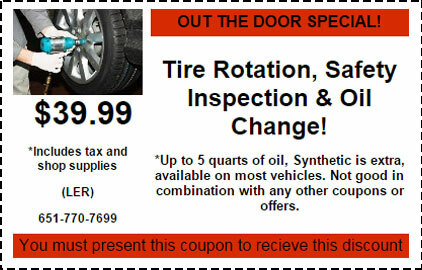 Print them out and stop by today or give us a call to schedule your appointment! Your satisfaction is important to us! Our ASE-certified technicians provide you with comprehensive assessments and always educate you every step of the way on what needs to be repaired on your vehicles. We stand behind our work and want you to be completely satisfied at all times! Check out our auto repair and maintenance services.